Reminiscent of pages from a Victorian novel, this linen is ribbons of sandy, antiqued beiges. 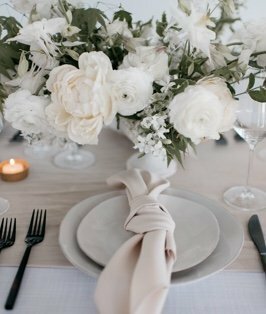 Parchment Swell anchors and inspires any tablescape because it is neutral in shade. The fabric’s texture moves fluidly and creates a deep layered appearance.